We are a family operated business that has been providing mechanical and engine reconditioning services to Armidale and the local area for over 30 years. 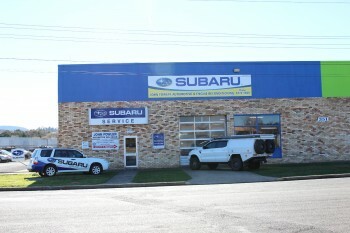 We have been an authorised Subaru Service Centre for 30 years, so we know all Subaru’s inside and out. We have been building and reconditioning engines for 40 years. This is a trade that has been passed from father to son so our knowledge of engine reconditioning is extensive. Our aim is to maintain your vehicle to above factory specifications. We specialise in preventative maintenance, to keep your vehicle in the best shape for as long as possible. We do not have a “wait until it breaks” approach. We will advise you of the best course of action in relation to your vehicle, for safety longevity, value, performance and driving pleasure. We employ local mechanics that enjoy their job and are good at it. Our employees attend advancement courses and compete in technical knowledge competitions to continually develop their knowledge and skills. You will find our staff approachable, knowledgeable and with your vehicles best interests at the fore of their mind.